Why Are Serviced Apartments Preferred In London? Carlton Court’s luxurious serviced apartments are a popular choice for both business and leisure travellers in London. If you are on the lookout for a place to live rather than just a place to sleep, our apartments are the ideal accommodation option. Are you wondering what makes us different compared to conventional accommodation choices, such as hotels? Keep reading to learn some of the reasons why we are highly sought-after. 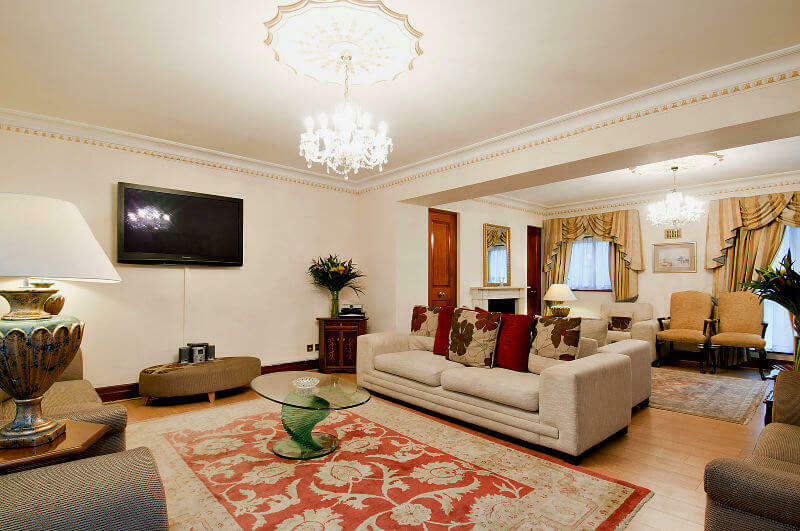 ● Comforts of home: Our lavishly furnished serviced apartments in Mayfair offer a comfortable and secure environment so that you enjoy a home-from-home experience. The apartments that we offer come with separate sleeping and living spaces, as well as, entertainment equipment such as, music system, TV, free Wi-Fi and more. ● Ample space: Our flats offer approximately 30% more space than any standard hotel room in London. If you are travelling with friends or children, a lot of space is exactly what you need to stretch out and relax. You can also invite guests over for a dinner party. ● Fully-equipped kitchen: If you live in any one of our one, two or three bedroom apartments, you can gain access to our fully-integrated, private kitchen area complete with dishwasher, cooker, washer/dryer and fridge. In case you have special dietary requirements or looking to save money, a fully equipped kitchen is a godsend. ● 24 hour concierge: Our flats combine the convenience of hotels with a home-like living environment. We provide around-the-clock concierge services that will help you in navigating the streets of London better. Whether you need tickets to the theatre, music festival or concert, or need a restaurant reservation, do not hesitate to approach our concierge. ● Cost-effectiveness: Renting Carlton Court’s flats will give you the opportunity to enjoy a lot of space, freedom and privacy, along with 5-star services at affordable rates. Our rental rate is calculated per apartment as opposed to per person. So, when you are travelling in a group, our flats will be the most economical choice. Make Carlton Court your temporary home when you are in London. Get in touch today to learn more.